A couple days ago I got to talk with a friend of mine who i consider a sister and very respected woman and hustler Keyshia Ka’oir formely Keyshia Dior. Our conversation wasnt for long because she’s always grinding and on the go. But she talk to me about her new body suit line “Ka’oir Kouture” and the creative mind of her new released lipstick the “Glitz stick”. It feels like it was just yesterday we were on our way out to Club Play in Miami and she tells me ” Sis im wearing blue lipstick tonight” I responded only YOU would be bold enough to do this. Since i’ve known keyshia she’s ALWAYS been creative and always had her mind set on being a BOSS. Now today she’s a business owner of a top selling cosmetics line that you can find on the faces of pop legends like lady gaga to hot hiphop artist trina to super reality star snookie! Read on for our one on one chat! SNHH:What Inspired you to add the Glitzstick? Keyshia: I added the Glitzstick Collection to my KA’OIR brand because I wanted something new. Plus it’s super dope! When I first wore it, I fell in love so I knew immediately my customers & fans would too. SNHH: Your lipstick is very BOLD and most women don’t feel they can’t pull off the look what would you tell the women who feel this way? Keyshia: I always tell anyone that’s scared to wear my bold line, that they must be confident to pull off KA’OIR. You cannot be scared. My brand is for the bold & confident trendsetters. SNHH: I know you’ve spoken about creating a body suit line have you put that in the works yet? SNHH: What next can we expect next from Keyshia Ka’oir? Keyshia: Everything.. LOL. I just did a show in LA called the HUSTLE, which will premiere in the fall on Fuse. I’m just constantly grinding & staying focused. GO ORDER YOUR KA’OIR COSMETICS TODAY!!! 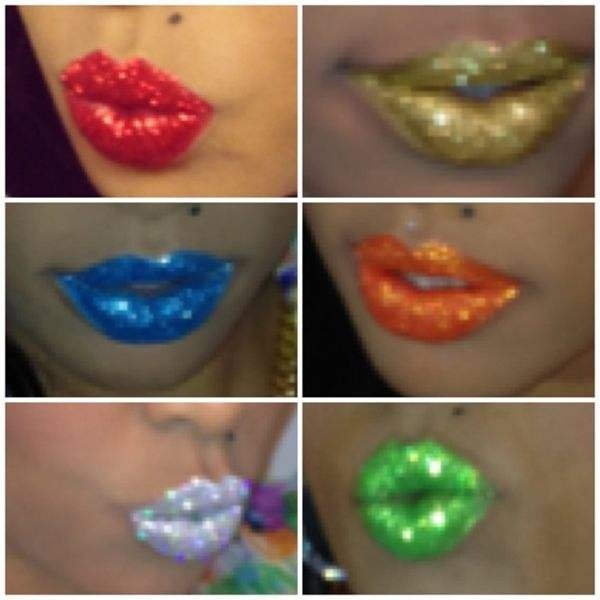 Www.kaoir.com & PLEASE WATCH THE TURORIAL BEFORE PURCHASING THE GLITZSTICKS!! !